We typically think of traffic accidents as involving one more vehicles. However, this discounts the fact that pedestrian accidents make up a large number of reported accidents each year. According to the National Highway Traffic Safety Administration, about 13 percent of total traffic-related fatalities in 2010 were caused by pedestrian accidents. In the same year, the number of pedestrians injured in accidents exceeded 70,000.00. These are nationwide numbers, however Massachusetts certainly experiences its share of pedestrian accidents, especially in metropolitan areas. 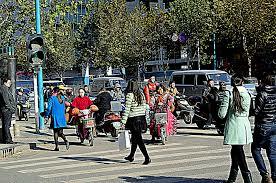 Most pedestrian accidents are the result of drivers or pedestrians not paying attention to the traffic conditions. In Massachusetts, pedestrians have the right of way when using a crosswalk or if they are crossing an intersection with a green traffic light. If traffic signals are malfunctioning or the pedestrian chooses to walk against traffic anyway, a driver still must yield to any pedestrian in a legally marked crosswalk. If the driver fails to do so, and the pedestrian is injured, the driver is legally responsible for the resulting injuries. Call police immediately if they have not already been called. If medical assistance is required, police may call them for you. They will also file an accident report, which is a necessary part of any future personal injury claim that you may wish to bring. Take photographs of your surroundings, including your injuries and any damage caused by the crash. You should also photograph the roadway and any contributing factors, such as a stop sign in the area that a driver may have ignored prior to hitting you. Obtain contact information, including names, email address, street address and phone numbers for any witnesses to the accident. Exchange information with the driver who hit you. Make a journal and record details about the accident as soon as possible. Most people are surprised how quickly their memory fades, even after a traumatic event. It is important to know as many details about your accident as possible. Seek medical treatment without delay if you are injured. At the Law Offices of Jeffrey S. Glassman, our attorneys are experienced in all areas personal injury law, including pedestrian accidents. We know how to protect the rights of injured pedestrians and help them get the compensation they deserve. For a free consultation, please call our Boston office at 617-367-2900 today.